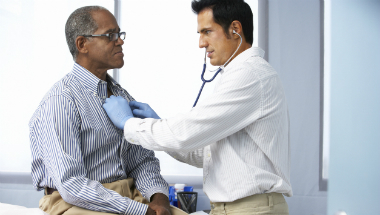 Chronic obstructive pulmonary disease, or COPD, is a condition that makes breathing difficult. It covers more than 1 lung condition, including chronic bronchitis and emphysema. About 1.2 million people in the UK have a diagnosis of COPD but many more have it without knowing. Most people find out they have COPD in their fifties or older, and it’s much more common in people who smoke. Breathing problems tend to get gradually worse over time, but there are many different medicines and therapies that can help people keep these under control for longer. you don’t use oxygen therapy if you smoke, because the risk of fires and burns outweighs its benefits – instead you should first get support to help you quit smoking. review your medicines and your self-management plan at every check-up and discuss any worries you have. Healthcare professionals should consider the risk of antimicrobial resistance when deciding whether antibiotics are needed for treating or preventing a flare up of symptoms of COPD. The NHS website has more information about COPD. You can find advice on quitting smoking at NHS Smokefree (0300 123 1044). The organisation below can give you more advice and support. We wrote this guideline with people who have been affected by COPD and staff who treat and support them. All the decisions are based on the best research available.